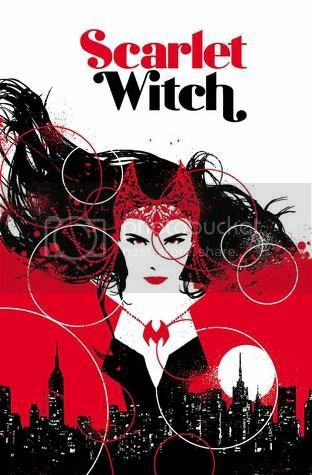 Book Summary: Witchcraft is broken - and the SCARLET WITCH is on a journey across the globe to fix it. From the back alleys of Manhattan, to the serene Greek Isles, to the bustling streets of Hong Kong, Wanda will have to face down her foes and find out who her true friends are. But as Wanda solves magical crimes and pieces witchcraft back together, the most important question remains: Who is the mastermind that broke it in the first place? Written by Eisner Award winner JAMES ROBINSON, with covers by Eisner Award winner DAVID AJA with the first issue drawn by fan-favorite VANESA DEL REY! Book Review: The Scarlet Witch has always been one of my favorite Marvel characters. I always thought there was potential for her own series. For all the things she has done in the Marvel universe, this was perhaps her chance to gain redemption and even for readers to get to know her more even those who are new to her and want a chance to learn more of her. This one fell flat for me. I am not sure what it is. Maybe it is the noir feel as I have never read anything like it or it could be the art. The art just seemed to be nothing more than quick sketches rather than what it should seem like. Or perhaps I have been out of the Marvel loop altogether. It has been, after all, several years since I actually picked up anything Marvel (except the recent comic of Captain America). I may continue with the series to see if I can connect once again with Wanda but we shall have to see.